The exhibition season is in full flow in UAE, especially in the emirate of Dubai. This season provides opportunities for businesses around the world to take advantage of the presence of consumers from around the world that gather in UAE for recreation and other purposes. One such event that held every year and provides exposure to businesses related to beauty and fashion industry is the Bride Show. 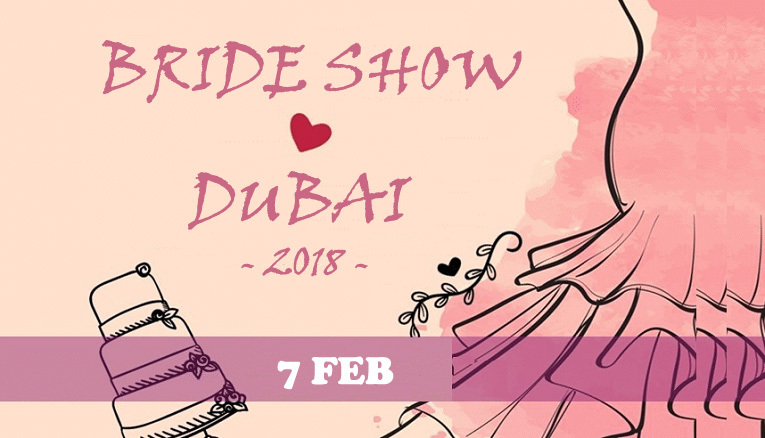 The 21st edition of Bride Show Dubai is going to start soon from 7th of February 2018. This 4 day-long event will remain continue till 10th of February 2018 that will attract brides-to-be, wedding planners, beauty professionals, and related businesses. The timing of the event during these 4 days (7th to 10th February 2018) is from 3:30 pm to 10:30 pm. Wedding is the most special day for every woman and she wants to make it the most memorable day of her life. Bride Show Dubai presents this opportunity for brides-to-be in UAE, Middle East and other parts of the world. As there is representation of wedding planners and beauty brands from all over the world to showcase their expertise to ladies from different parts of the globe, so different types of wedding dresses and fashions will be part of this upcoming exhibition. Dresses and fashion from conservative Middle East to modern western styles will be showcased during the event and there is some sort of interest for everyone in the Bride Show Dubai 2018. Hundreds of exhibitors and thousands of visitors participate in the Bride Show Dubai every year and their numbers are mostly on the rise with every passing year. Over 200 exhibitors and around 12,000 visitors were part of Bride Show 2017 and we are expecting these numbers to increase this year. The event will soon be hosted by the Dubai World Trade Centre (DWTC) and the registration process is underway for different companies and individuals who are willing to showcase their products and services to visitors from all over the globe. For complete information about the event and assistance about providing beauty and fashion related services in Dubai and other parts of UAE, you can contact Riz & Mona Consultancy via our WhatsApp # 971-56-9971225. We have years of experience of setting up businesses in Dubai and other parts of UAE.